When I was planning for our Bangkok Thailand trip, I was torn between Chocolate Ville + IKEA Bangna or Chao Phraya Princess Dinner River Cruise for our first day. Chocolate Ville and IKEA has no entrance fee and of course, the dinner river cruise is not cheap. 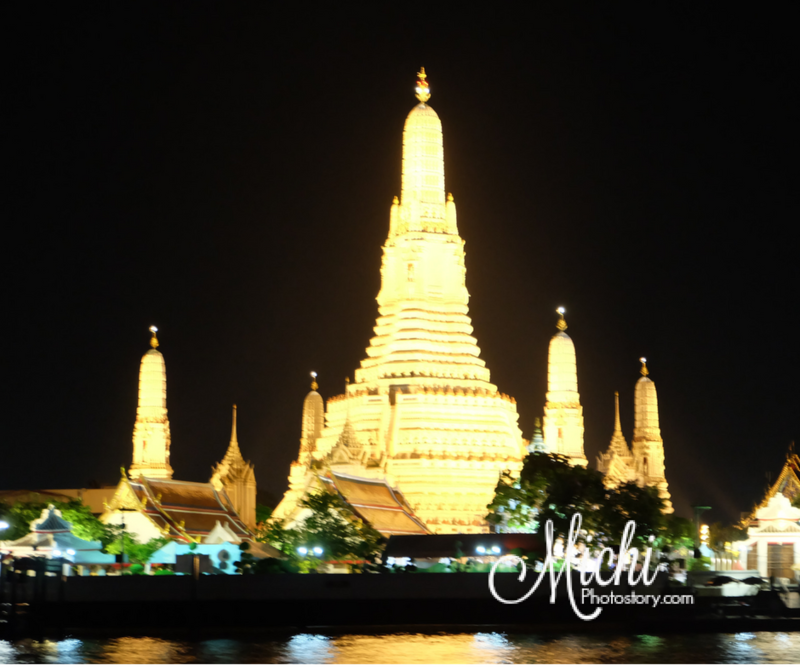 My son doesn’t like to visit temples so I was thinking that I can see the temples during our cruise kahit sa malayo. The night before our flight, I immediately checked if there are still available slots for dinner cruise. 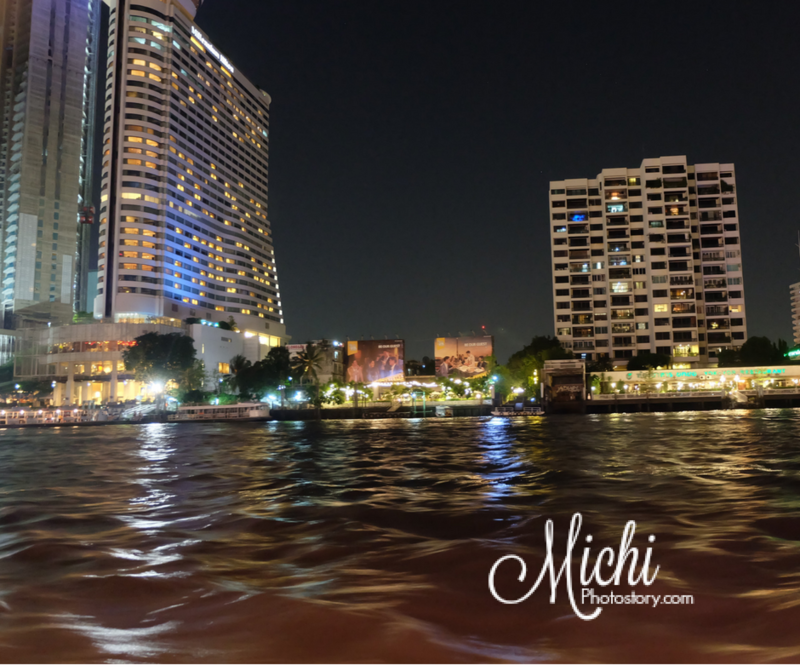 I availed the Chao Phraya Princess Dinner River Cruise at Klook. 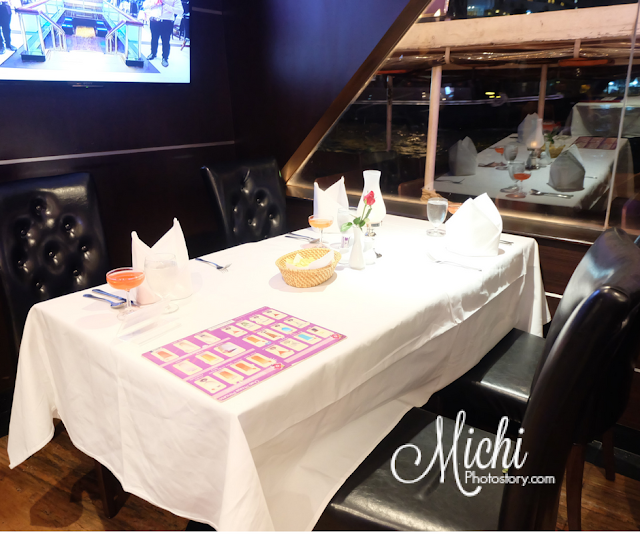 There are different Dinner River Cruise that you can choose from so just read the package and reviews. 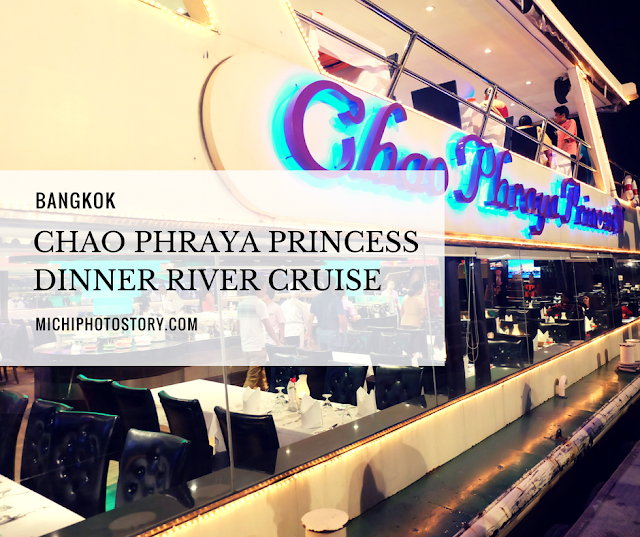 I chose Chao Phraya Princess Dinner River Cruise because of the price and rating. I reserved 2 Adults and 1 Child for P4494 or $86.21, paid via Paypal. They have no cancellation policy and no refunds for no-shows or late arrival so make sure that you arrive on time. Chao Phraya Princess Dinner River Cruise is a 2 hours dinner cruise at Chao Phraya River where you can see Bangkok’s historic landmarks such as Wat Arun, The Grand Palace, Wat Pra Kaew and city’s skyline at night. 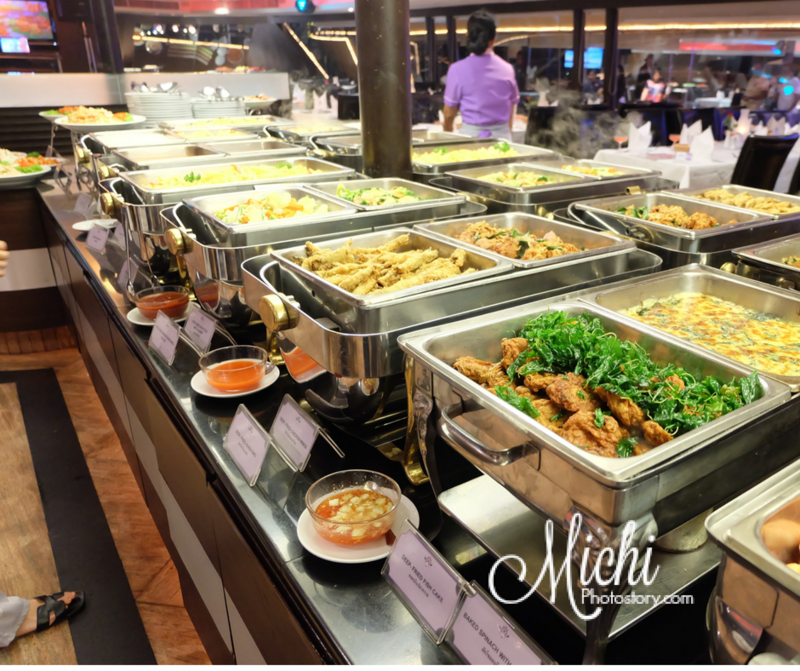 Indulge in a gourmet buffet that serves Thai cuisines, Halal foods and other international dishes. After exploring Terminal 21, off we went to River City Complex. We rode BTS Skytrain Asok to Saphan Taksin Station. Then go to Exit 3, ride a taxi to River City Pier. I gave my printed voucher. The staff looked for my names and went inside the office. Then he gave me tickets and stickers (color-coded) and advised the number of boat and boarding time which is 7:45PM. I was expecting 7:30PM so the schedule was not followed. At that time, I was thinking if I made the right decision, we’re all tired and sleepy but we need to wait because I already paid for it. Remember, Bangkok is 1 hour behind so if ever we’re in Manila, we’re already sleeping at 8PM (Bangkok Time). We’re lucky that we found a bench where we could sit or else nakatayo kami. While waiting, you can see ladies who are holding a basket of orchids, they will pin orchid on your clothes and take a picture. Before the end of the cruise, they will sell the photos with photo frame at THB250. 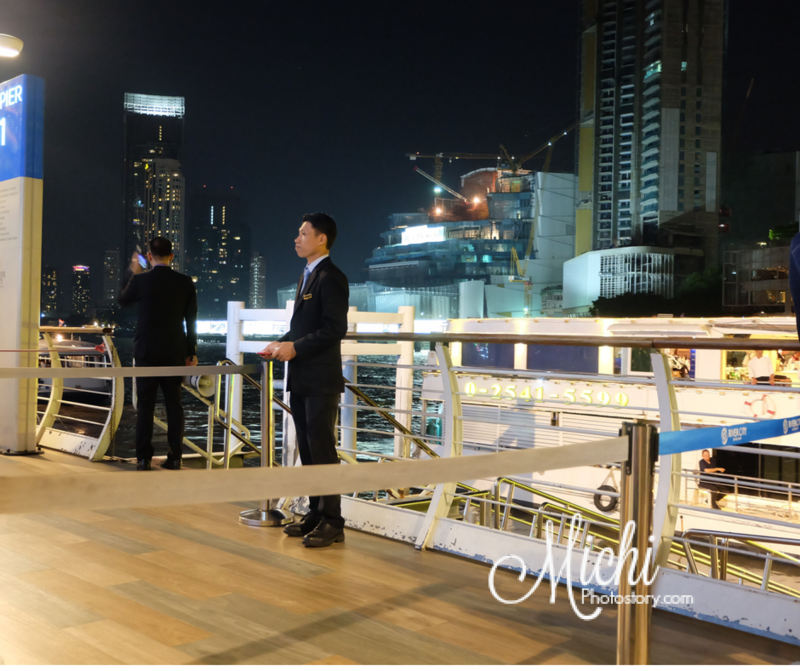 As I mentioned before, there are several dinner cruises so don’t forget the name of the boat, boat number and boarding time. You can also check the stickers of other passengers so you’ll get idea kung sino kasama niyo sa boat. The boarding is organized but of course, first come first serve. You cannot choose seats, the seats are already assigned once they gave you the tickets. Finally, at 7:45PM, they allowed us to board. The Chao Phraya Princess Boat has two floors and we’re on the first floor so it is hard to take good photos without reflection. There are chips, nuts, water and juice on the table. After several minutes, the boat started to cruise and they announced that we can start eating. It was already past 8PM (past 9PM Manila Time) so our stomach is no longer in the mood for the buffet so we did not eat that much. 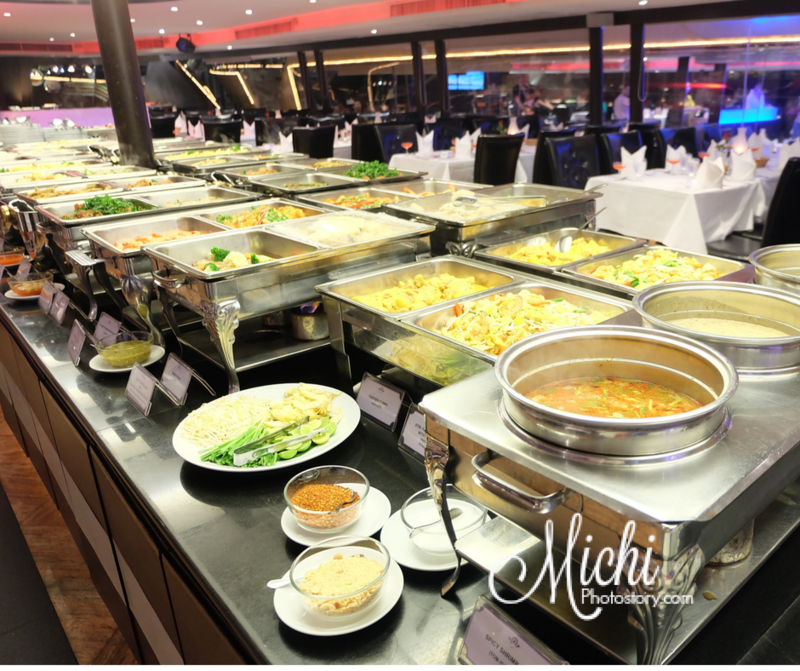 The buffet spread is good enough to fill your hungry stomach. It is your chance to try different Thai cuisines too. There is a fried chicken so if you have kids in tow, they have something to eat. There is live band too so if you are a fan of 80’s and 90’s songs, you will love your cruise. 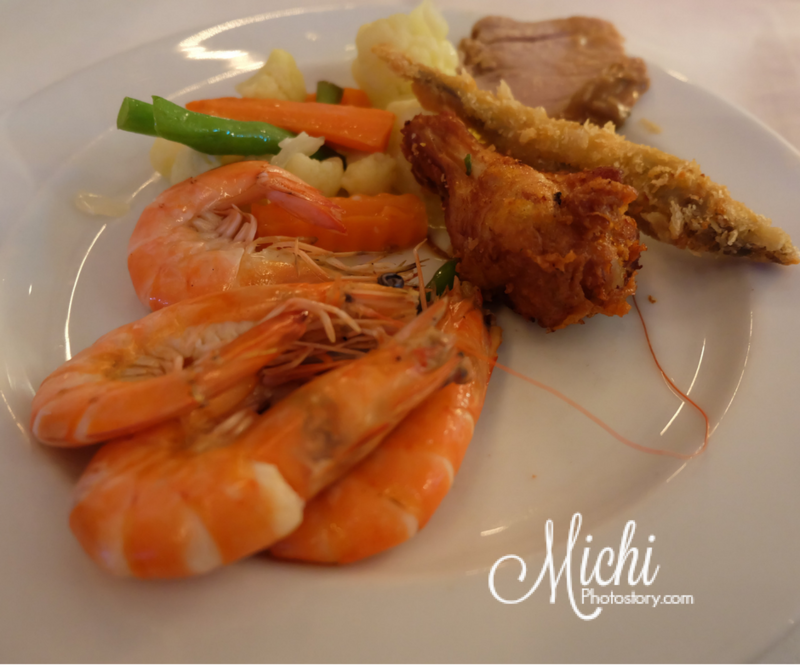 Eat and enjoy your cruise. Remember "Life goes pretty fast. 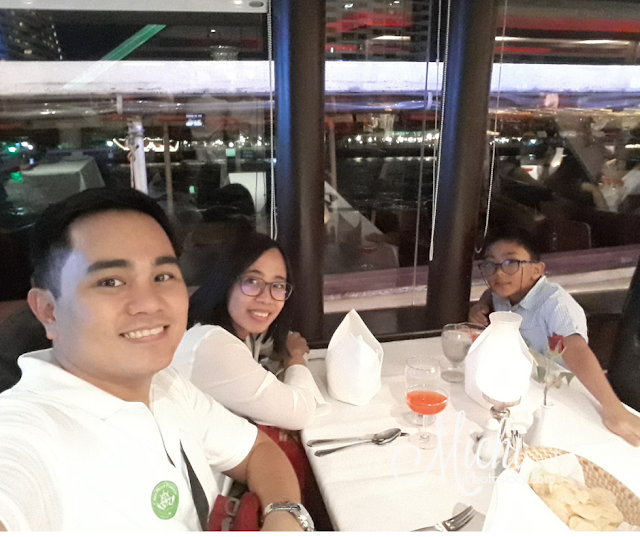 If you don't stop and look around once in a while, you could miss it"
Even we’re tired and sleepy, we enjoyed our first dinner river cruise. 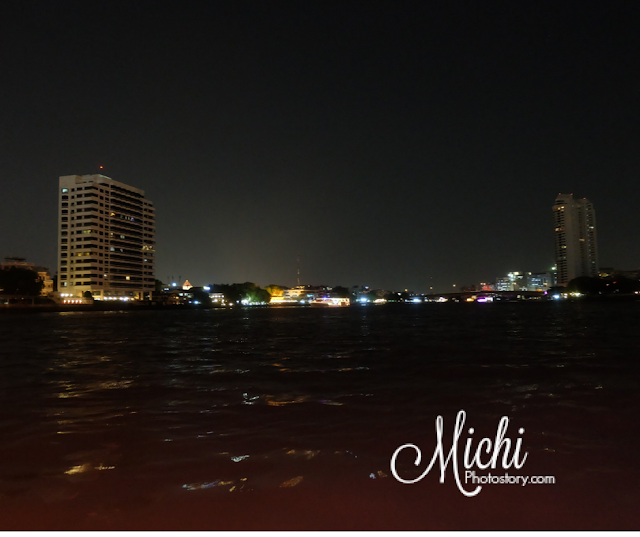 It is nice to see Bangkok’s popular attractions at night. It is a different experience compared to our Loboc-Loay River Cruise in Bohol. We took a taxi, as expected driver did not want to use taxi meter so we paid THB200. (River City Pier to Four Points by Sheraton Hotel) Price is not bad anymore if you compute our Train + Taxi on your way to River City Complex. Klook.com * This post contains affiliate link/s. If you decide to make a purchase, I will earn a commission at no additional cost to you. Thank you for your support. It really looks like a great experience. It's so convenient coz you just stay on the boat and you already get to see a lot of places, while having a buffet meal too. I love booking through Klook myself. I have been using it for quite a while now and find it really efficient. I never had problems with any of my bookings. However, you must be extra careful with the fine lines and instructioms before buying. WOW! What a beautiful and awesome place and also what a food! 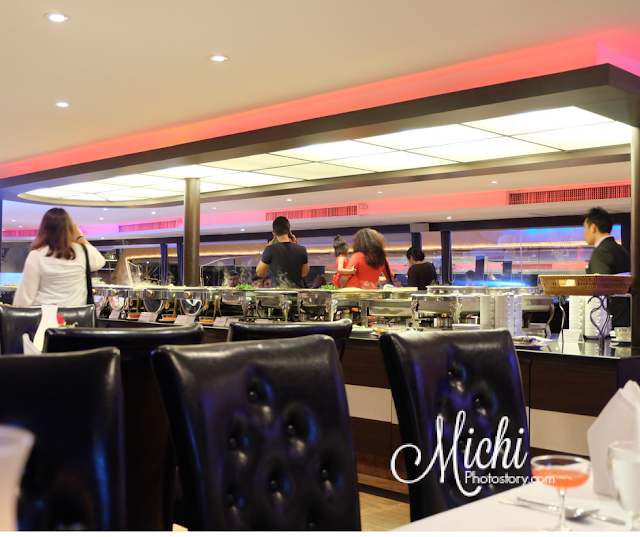 Parang ang sarap ng buffet meal nila at subrang ganda ng place. Yes, okay naman yung food, hindi lang ko magana kumain kasi tulog na yata stomach ko. Hehehe!